Discover the difference that expertise and dedication make to creating the best docking solution. The V-Dock difference doesn’t stop with our advanced roll on docks and sectional docks. We’ve created patented post brackets, too, sturdy and lightweight. No more straining your back to lift heavy, large posts out of the ground. The patented post brackets may be easily attached or removed. The exclusive V-Docks Break-Away Post Bracket is a component of many of the roll-on docks, with movable connecting pins created from sturdy and lightweight aluminum. V Docks are easy to install – even if you’ve never put a dock in before! The user-friendly screw drive wheel assembly is part of both the roll-in and roll-out docks. With five different sizes, there’s a leg for any water depth and independent legs to accommodate uneven ground. These ergonomically sound posts adjust easily with a removable hand crank – or you can also use a cordless drill to adjust your dock height. No dangerous winches to use! 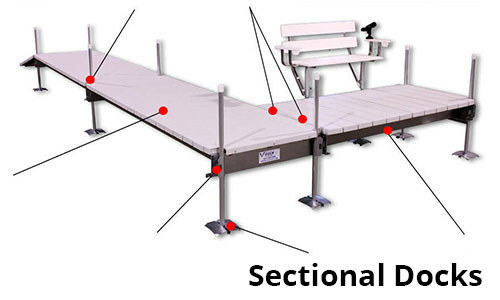 You can make all your adjustments from the top of the dock, with easy to operate connecting pins and hanger brackets. 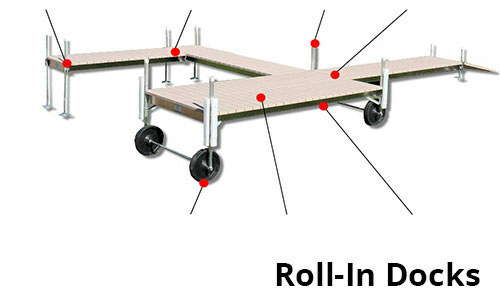 The maintenance-free parts never need greasing and are standard with all V-Dock roll-in docks. V-Dock’s sectional docks are made from patented poly deck materials – ideal for any weather condition. We’ve spent years testing to produce a high-quality composition of virgin resin and UV additive, extremely strong and guaranteed not to discolor. All decking is made at our Minnesota facility, so we maintain the optimal ratio of UV additive for maximum longevity for any climate. The dock is in and it is beautiful the construction is beyond our expectation. We have had the best experience from the day we walked into your showroom until today. Thank you for making such a great product. Christine E. – Cumberland Wi. 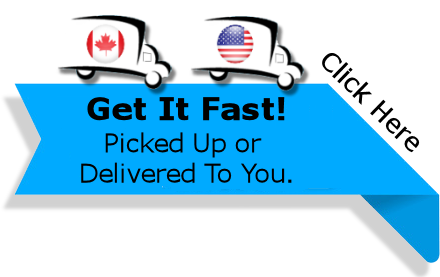 - Christine E. – Cumberland Wi.